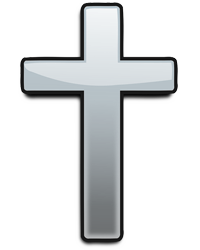 Obituary for Gladys Jane (Israel) Tack | Norman L. Waterman Funeral Home, Inc.
Arcadia - Gladys Jane Tack, 80 entered eternal rest on Monday, January 28, 2019, at her home. Family will greet friends Friday, February 1, 2019, at the Norman L. Waterman Funeral Home, Inc., 124 W. Miller St, Newark from 4 to 7 p.m. A Funeral Service will be held Saturday, February 2, 2019, at the funeral home, at 11 a.m. Burial will take place in Fairville Cemetery. Please join the family at the Fairville Volunteer Fire Department for a reception following the burial. In memory of Gladys, in lieu of flowers, please consider donations to the Newark Food Closet, 301 East Miller Street, Newark, 14513 OR the Fairville Faith Community Church, 6600 Snake Road, Newark, 14513. Gladys was born the daughter of the late Elmer and Ida (Leenhout) Israel on Thursday, August 25, 1938, in Newark, NY. She spent her life in the Arcadia area, graduating from Newark High School class of 1957. Gladys was known as the "Neighborhood mom" and she had a special love for children. She particularly loved to spend time with her grandchildren and great-grandchildren. Gladys enjoyed reading, gardening (vegetables and flowers), crocheting and sewing. She was a great caregiver, taking care of her parents and husband. For 25 years she worked for the Wayne County Department of Social Services, and after that she worked for Wegmans in Newark until her husband's retirement in 2000. 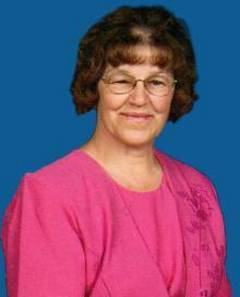 Gladys was a member of the Fairville Presbyterian Church where she served as church secretary and taught sunday school. Gladys volunteered many hours, she ran the Fairville Food Closet and volunteered at the Newark Food Closet. Gladys will be remembered by her loving husband of nearly 60 years, Carl F. Tack; sons, John (Corrine) Tack and David Tack; daughters, Deborah (Gary) Carlson; and Nancy (David) Kelley; thirteen grandchildren and two great-grandchildren; brother, LaVern (Joan) Israel; sister, Lucille (Rick) Davis; several nieces, nephews and cousin; fresh air children that became part of the family, Steven and Diane Gutman and Anna Llompart.